The following videos show some math tricks to help you remember the values of a unit circle and Trig Ratio of Special Angles in degrees (0, 30, 45, 60, 90) and also in radians. How to memorize the Unit Circle? 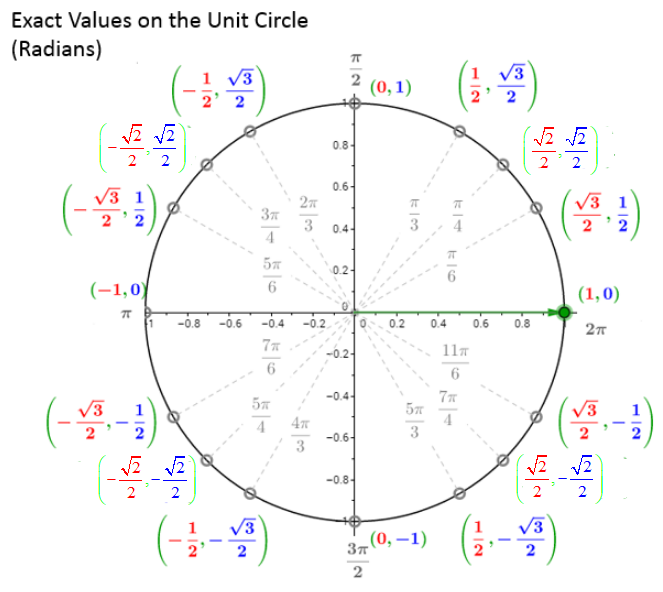 The following diagrams give the exact values on the unit circle (degrees and radians). Scroll down the page for various tips and tricks on how to remember the values. People often forget what x,y coordinates on the unit circle go with what angle. This video shows a little 'trick' to remember the values on the unit circle in the first quadrant. Resist the temptation to learn the unit circle as a whole. Learn it the first one eight of the way around and practice using a reflection, and then another reflection and then another reflection. How to remember the values on a unit circle? 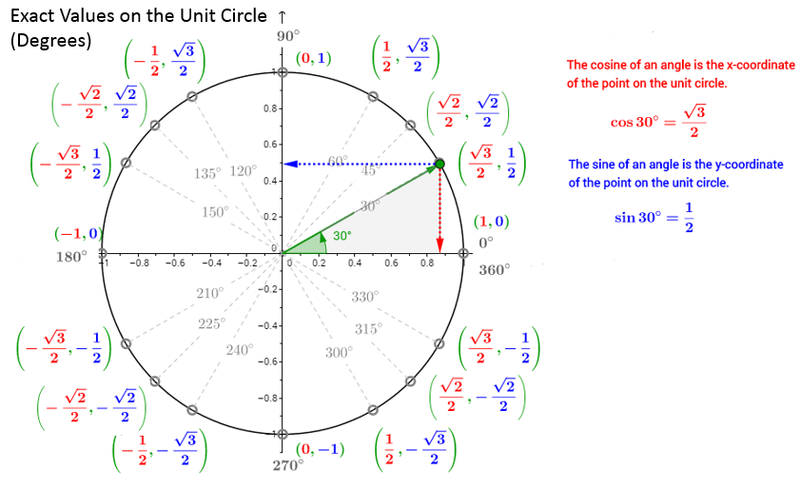 Explanation of an easy trick for memorizing the values of the unit circle. How to use your left hand to help you remember the unit circle? If we insist that students memorize the values of sine and cosine for the basic angles 0, 30, 45, 60 and 90 degrees, then here's a cute little trick for doing so using the fingers on your hand. A song to help you memorize the unit circle.